Parkinson's Resources of Oregon is committed to ensuring that the Parkinson's community of the Northwest has a voice in Washington D.C. and that the issues and problems associated with this debilitating disease receive appropriate attention from local policy makers. Here in Oregon, PRO has an active committee of advocates that meet each month to discuss issues that impact our clients here in the Pacific Northwest. Through the work of this committee, PRO has successfully introduced legislation - with an end result of modifying the Patient Bill of Rights for people living in nursing homes in Oregon. Additionally, this great group of volunteers spearheaded the effort that lead to the development of PRO's 5-part Long Term Care Professional Training. Each year the committee determines their upcoming priorities and creates a work plan to tackle those specific issues. 2009 Legislative Priorities include expanding relevant aspects of the Patient Bill of Rights to also apply to residents in Assisted Living and Residential Care Facilities, supporting basic research for the cure and treatment of Parkinson's disease, supporting health and social service programs that provide benefits and support for individuals with Parkinson's disease. Additionally, members of the committee serve on statewide health advocacy coalitions to ensure the Parkinson's community is well represented. Sound interesting to you? We would love to have you join us. To learn more about possible participation in PRO's Advocacy work, please contact the committee's staff liaison, Sally at 503-594-0901. More than one million people in the United States are afflicted with Parkinson's disease - every nine minutes another is diagnosed with this devastating illness. Parkinson's disease is estimated to cost the United States more than $25 billion a year in direct health-related expenses, disability costs and lost productivity. In Oregon alone, there are an estimated 20,000 people with Parkinson's disease, and this number grows daily. Never has the need for research funding and support been more critical! 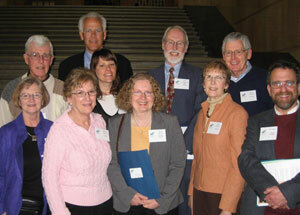 Parkinson's Resources of Oregon serves as the State Coordinator for the Parkinson's Action Network. The Parkinson's Action Network (PAN) is the unified voice of the Parkinson's disease community-advocating for more than one million Americans and their families. 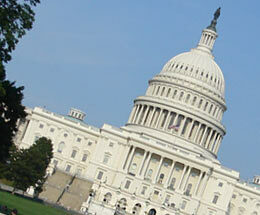 PAN serves as the voice of Parkinson's on numerous public policy issues affecting the Parkinson's community. In addition to continuing the work on NIH funding and research, PAN is a powerful voice on many crucial issues including Parkinson's-specific programs at the Departments of Defense and Veteran's Affairs, FDA drug approval issues, HHS programs (Medicare and Social Security), and continues the struggle to achieve research freedom for stem cell research. Identify and send an e-mail to your house member. Identify and send an e-mail to your senator.